Wired Productions and Nosebleed Interactive have announced that Vostok Inc. will launch on Nintendo Switch on December 7, 2017. 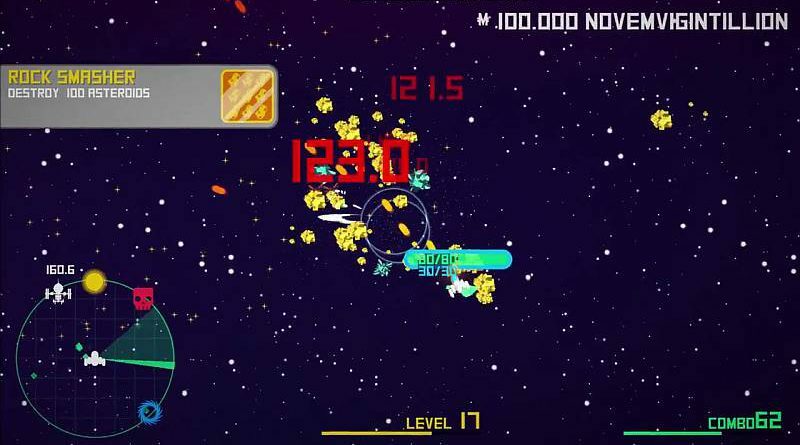 It was also revealed that the Nintendo Switch version of Vostok Inc. will feature a Nintendo Switch exclusive planet. In Vostok Inc., you play as a corrupt, narcissistic yuppie, hell-bent on raking in as much money as possible in a greed-driven, twin-stick shooter without a conscience. As the newly-appointed CEO of Vostok Inc., you have one goal: to become filthy, stinking rich. Piloting your very own ship, explore and exploit more than 40 planets across six different solar systems in your quest to earn ludicrous amounts of MOOLAH! Start by landing on any planet to begin colonization, build factories, and rake in the big bucks. Once the filthy lucre starts flowing, you’ll be able to upgrade your ship’s weapons and augmentations. Increase profits even further by finding and recruiting managers, consultants, and executives scattered throughout the galaxy.